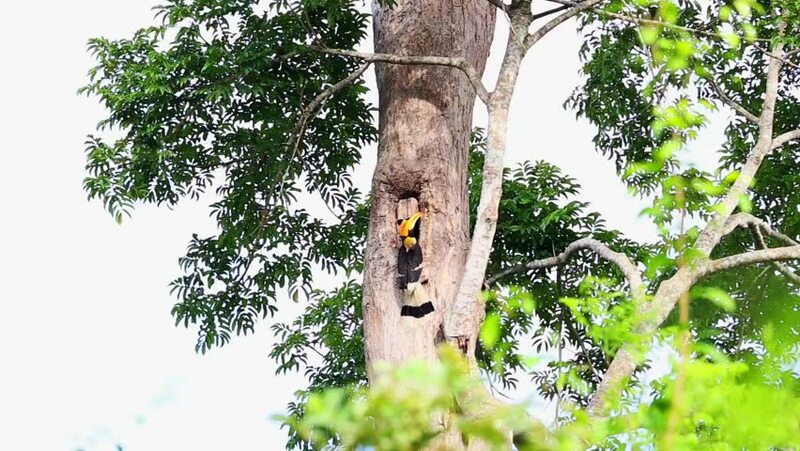 Hornbill feeding her babies in the hollow of big tree, the biggest bird family of Thailand forest, it is pure nature. hd00:07High Speed Video of wild birds - Chickadees. _6 / April 3, 2015 to the shooting in Japan Hokkaido Forest / Taking healthy state of wild birds greet the spring in a high-speed camera.